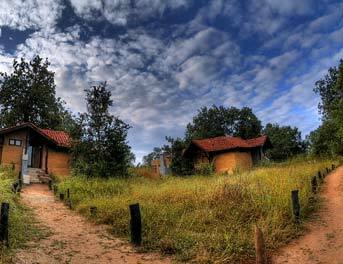 Denwa Backwater Escape is located overlooking the mesmerizing backwaters of a dam built on Denwa River in Satpura National Park, the area is popularly known as Madhai. It is built on 10 acres of forested land along the river and across the river lies the national park which is approached by a boat and then by jeeps to go deeper into forest. 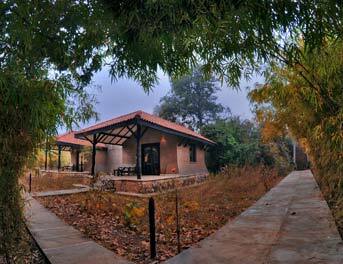 The lodge offers stunning views of the Denwa River, grasslands across and rolling Pachmari hills. The lodge has been mainly built using local materials like stone, baked tiles but the design is contemporary safari style. The rooms are done up in style with unique leather safari furniture, crisp cotton upholstery, linen and local crafts. 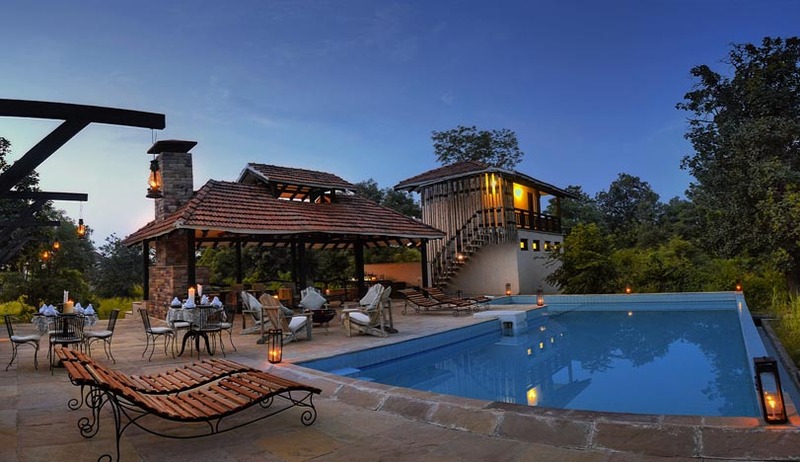 The main building and the pool are done up with vintage iron furniture and hand crafted wooden furniture, the wood for which is sourced from old furniture and sleeper wood. 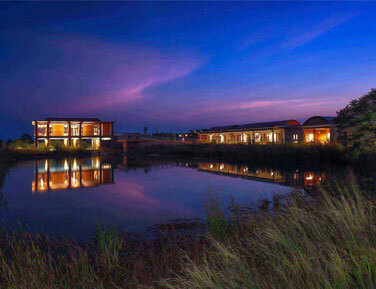 The lodge estate is gifted with a unique undulating landscape, water bodies, indigenous forest with a variety of flora and fauna and stunning river views. 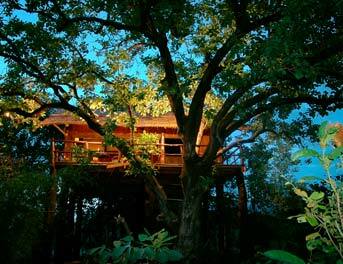 8 River view deluxe cottages and 2 river view Tree Houses. All accommodation equipped with intercom, air conditioner, 24 hrs hot and cold water & power back up. 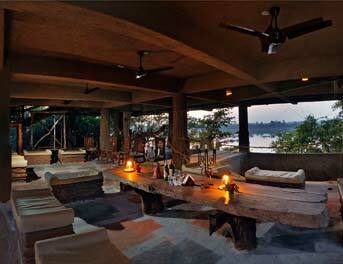 Dining hall overlooking the Denwa river serving a variety of Indian, continental and local cuisines. Outdoor barbeque and bush dinner areas. 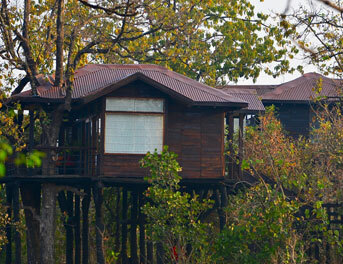 Jeep Safari, Elephant Safari, Bird Watching, Hides, Village Visits, Boat Safari, Walking Safari, Over night camping and Kayaking.